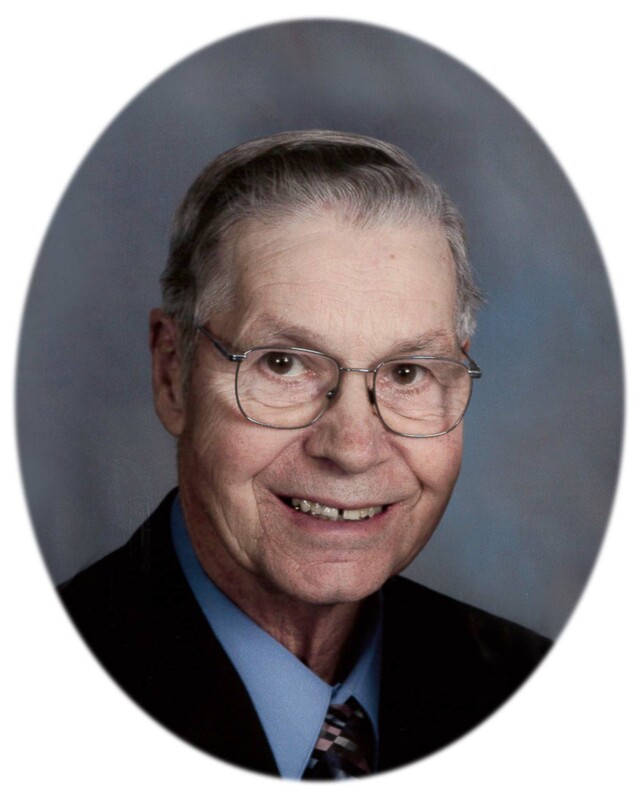 Clifford J. Mol, age 87, of Annandale died on Saturday, March 23, 2019 at the Annandale Care Center after a long battle with Parkinsons with family at his side. Funeral Services will be held 10:30 a.m. Saturday, March 30, 2019 at Tri-County Alliance Church, Clearwater, with Rev. Dr. Verlyn Boone and Rev. David Fogal officiating. Burial will follow at Lakeview Cemetery near Maple Lake. Visitation will be held 4-7 p.m. on Friday, March 29, at Dingmann Funeral Care Chapel in Annandale with a prayer service at 7:00 p.m. Visitation will continue one hour prior to the funeral on Saturday at the church. Memorials are preferred to Talking Bibles - Amistad Worldwide. Clifford Jake Mol was born March 19, 1932 in Corinna Township, near Annandale, to Jacob and Ella Mae (Dalman) Mol. He grew up on the family farm in Corinna Township and graduated from Annandale High School with the Class of 1950. On March 19, 1954, Cliff was united in marriage to Karen Elizabeth Lee at the Silver Creek Reformed Church in Silver Creek Township. Together, they farmed and raised their family on the same farm that Cliff was born. Cliff served on the Wright County Human Services Board, on the Corinna Township Board for 14 years, on the International Messengers Board of Directors for 20 years and was a member of the Silver Creek PTA. He enjoyed farming, woodworking, fishing, hunting, time at the cabin, traveling and mission work. He loved his family and the time he was able to spend with them. His faith in our Lord and Saviour, Jesus Christ, was the guide of his life. Cliff is survived by his children, Julie (Nick) Anderson of Maple Lake, Suzan (Verlyn) Boone of Sioux Center, IA, Timothy (Jane) Mol of Annandale, Connie (Chuck) Peterson of Fargo, ND and Daniel (Stacy) Mol of Annandale; 14 grandchildren, Karie Anderson, Adam (Courtney) Boone, Andrew (Kimberly) Boone, Micah (Ashley) Mol, Elisa (Jeremiah) Legatt, Sarah (Jerad) Happe, Josh (Kasey) Mol, Caleb (Jessica) Mol, Marie Peterson, Kara (Brian) Phipps, Ashley (Brandon) Engelstad, Jacquelynn Mol-Sletten (Adam Sletten), Danielle (Marty) Lefebvre, and Nicole Mol; 26 great grandchildren, Ryan, Cohen, Avonlea, Madilynn, Harrison and Hewitt Boone, Adlyr, Maddox, Amelia, Isaac and Alana Mol, Eli, Malachi, Anna, Isaiah, Elizabeth, Noah and Esther Legatt, Ethan, Levi and Alexa Happe, Lily and Cooper Engelstad, Charleigh Mae and Evelyn Lefebvre, and Ada Sletten; sister Geraline Schut of Buffalo; and many nieces and nephews and other family members. He is preceded in death by his wife, Karen; and parents, Jacob and Ella Mae Mol. The casket bearers will be Cliff's grandchildren. Marilyn Lee will provide the music for the service. Arrangements are entrusted with Dingmann Funeral Care Burial & Cremation Services of Annandale.